the middle of nowhere when black South Africans are ready to do whatever it takes to recover what was seized from them during apartheid. 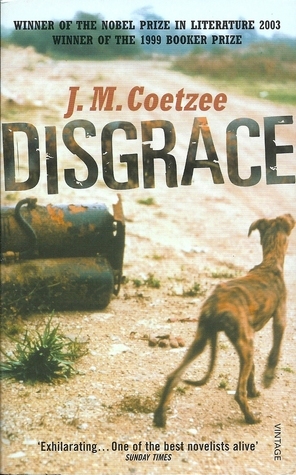 Disgrace is a simple story line that narrates on the human condition. Will black and white South Africans truly get along after apartheid? What are the damages and aftermath of apartheid? J. M. Coetzee's writing is clean and beautifully attractive. The way his characters speak gives no rise to doubts, they are articulate and meticulous. This is a novel that sure deserves the Man Booker Prize in 1999, I highly recommend, it is an insightful read indeed. Another addition to my Common Wealth Writer's Prize Challenge and one of my reading highlights in 2016. With this novel I end my reviews for 2016. Lastly this novel is also winner of the Nobel Prize Literature in 2003.